There are two absolute truths in this world: reality television is anything but, and the key to losing weight and keeping it off is slow and steady wins the race. One of these applies to NBC's The Biggest Loser and the other, not so much. We hate to burst your bubble, but plenty of participants and new research allege that the reality series' rapid weight loss tactics actually harm the lives of contestants instead of saving them. Thanks to a medical study published in May 2016 by the National Institute of Health (NIH), the untold truth of the weight loss franchise has been exposed along with a plethora of emerging controversies. In May 2016, the National Institute of Health published results from a six-year study of former Biggest Loser contestants from Season 8. 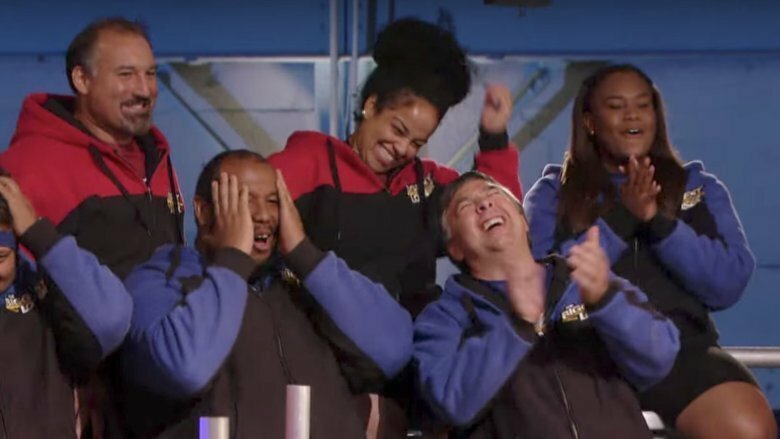 Results indicated that rapid weight loss was connected to a slowed metabolism, which explained why it was extremely difficult for participants to avoid regaining weight after the show's finale. "In fact, most of that season's 16 contestants have regained much if not all the weight they lost so arduously. Some are even heavier now," reported The New York Times in May 2016. "The results, the researchers said, were stunning. They showed just how hard the body fights back against weight loss, often through drastic changes in metabolism." After the study's publication, former contestants reached out to media outlets to supplement the study's findings, claiming tactics used on the show encouraged shocking weight loss and ultimately led to the destruction, not the rehabilitation, of their bodies. Season 2's Suzanne Mendonca told the New York Post, "The Biggest Loser doesn't save lives. It ruins lives. Mentally, emotionally, financially—you come back a different person. Half the people from my season have gotten divorced. The ripple effect isn't just weeks or months. It's years." Scandal rocked Season 15 of The Biggest Loser in 2013 after trainer Jillian Michaels gave her team caffeine pills to increase their activity during a critical week of the season. Michaels stood by her decision, saying caffeine pills were healthier than copious amounts of coffee. 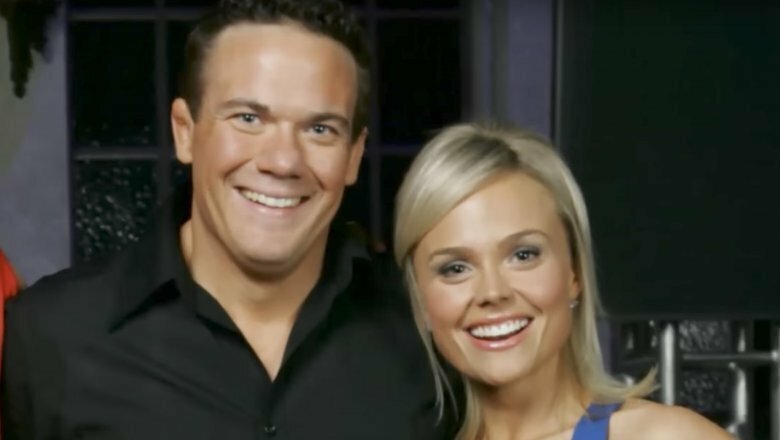 The show's host, Alison Sweeney, addressed the controversy at the weigh-in, giving Michaels' team a 4-pound penalty and saying, "Last week, Jillian broke the rules and gave caffeine supplements to each member of her team without doctor's permission." Michaels later hinted that the caffeine debacle may have been manipulated in order to bring back eliminated contestant Ruben Studdard, who was a fan favorite. According to E! News, when a viewer tweeted that Michaels was "being used to bring a famous contestant back," Michaels tweeted back: "you're spot on." The keywords to note from Sweeney's aforementioned quote are "without doctor's permission." 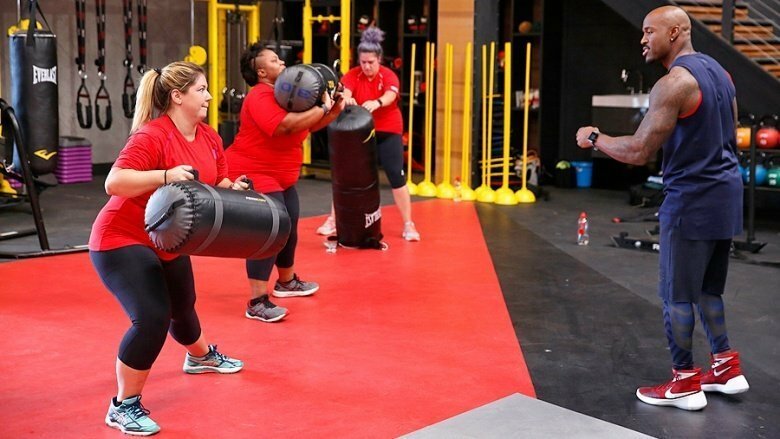 According to former Biggest Loser contestants, forms of legalized speed as well as illegal street drugs are allegedly allowed on the show as long as the trainer is granted permission by Dr. Rob Huizenga, the resident physician for the series. 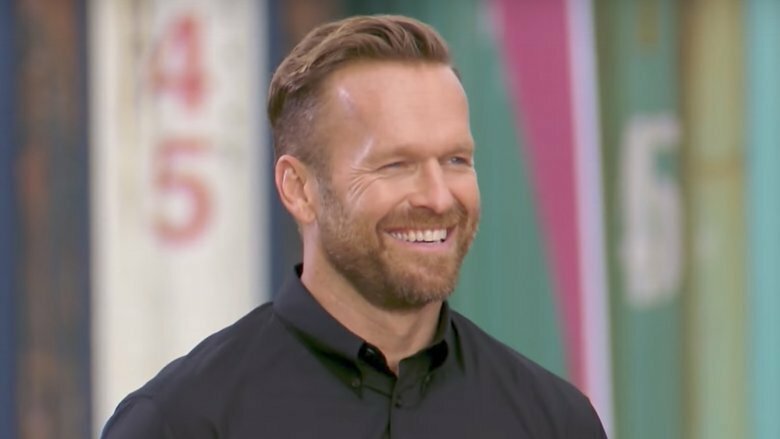 Former participants told the New York Post that trainer Bob Harper and his assistant colluded with Dr. H to provide Adderall and a street drug called "yellow jackets" to his team in order to boost energy and speed up weight loss. The Harvard-educated physician denied the claims via an email to the New York Post. "Nothing could be further from the truth," it read. "Contestants are told at the start of the show that there is zero tolerance for any weight-loss drugs. Urine drug screens and the evaluation of serial weights are repeatedly used to flush out possible illicit use." As the he-said-she-said accusations heat up, obesity specialists are backing the contestants. "That show is an atrocity," Dr. Yoni Freedhoff of the University of Ottawa told the New York Post. "This approach is not endorsed by anyone in the medical community. NBC [has] made an awful lot of money off of damaging these individuals." The trainers on The Biggest Loser or portrayed with distinct personalities. During her time with the show, Michaels was known as the tough, mean, and scary trainer—a sharp contrast to Harper's perpetual sunshine and rainbows. However, former contestants told the New York Post that their trainers' behind-the-scenes personalities were downright demonic. "They would say things to contestants like, 'You're going to die before your children grow up.' 'You're going to die, just like your mother.' 'We've picked out your fat-person coffin'— that was in a text message, said Kai Hibbard of Season 3. "One production assistant told a contestant to take up smoking because it would cut her appetite in half." Michaels left the show for the third time in June 2014 because she was reportedly "deeply concerned" about the show's "mean-spirited story lines and poor care of the contestants," according to a source for People. An increasing number of former contestants are coming forward with fat-shaming stories from their time on The Biggest Loser. Contestant Lezlye Donahue said conditions on the show were worse than her experience surviving Hurricane Katrina. She claimed producers housed participants in a former psychiatric hospital, putting 12 people in one bedroom in the Louisiana heat with no air conditioning. "It was hot as hell, and the smell was horrible," she told the New York Post, adding that contestants were forced to shower together with no privacy and use Port-a-Potties. While this may sound like some seventh grade mean-girl prank, it appears to be the unfortunate reality behind the "reality" series. Contestant Mendonca claimed she was told to gain more weight before coming onto the show because at 229 pounds (morbidly obese by NIH standards) she was considered too small for the show. Her rapid weight gain to 250 pounds followed by her rapid weight loss on the show only encouraged her metabolism to slow faster than those of other contestants, she told the New York Post. Reality TV shows stick to a production schedule that often compromises the chronology of events. Former Biggest Loser participants have said the supposed "week" between weigh-ins portrayed on the show is not always a seven-day cycle. Season 4's Nicole Michalik told A.V. Club, "It just depends on the production schedule. Some weeks would be as little as five days and some would be two weeks long." The Center for Nutrition Policy and Promotion recommends active men and women intake 2,000 to 2,800 calories daily depending on age. Contestant Kai Hibbard told the New York Post that participants consumed less than 1,000 calories a day. She said most of the trainer-approved food was provided by sponsors and had little or no nutritional value. "My season had a lot of Franken-foods: I Can't Believe It's Not Butter spray, Kraft fat-free cheese, Rockstar Energy Drinks, Jell-O." she said. The CNPP would not be pleased as scientific studies routinely prove that processed foods contribute to an unhealthy lifestyle. The medical community generally agrees that steady weight loss of two pounds or less per week is the best way to trim fat and keep it off. Clearly, this is not the case on The Biggest Loser. 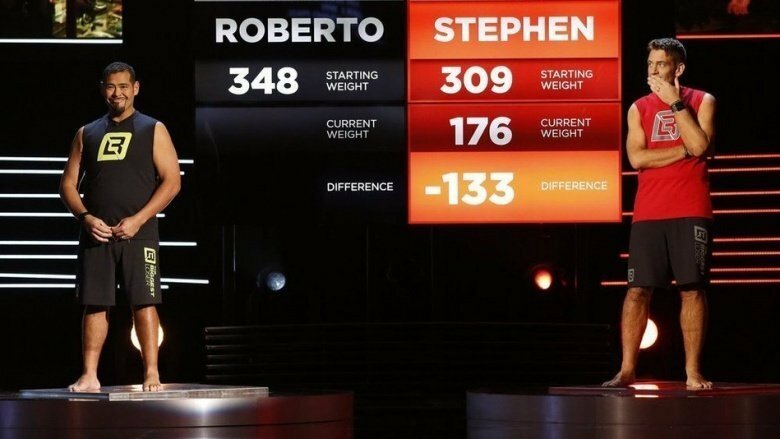 Due to their severely restricted diets and grueling five to eight hours of workouts per day, contestants put their bodies through a highly uncommon weight loss regimen. Contestant Hibbard detailed dangerous side-effects resulting from the show's extreme weight loss tactics. "My hair was falling out," she told the New York Post. "My period stopped. I was only sleeping three hours a night." Years after her participation on the show, Hibbard says she still suffers from hair loss, irregular periods, and knee problems. "My thyroid, which I never had problems with, is now crap," she said. Contestants have reportedly displayed symptoms of eating disorders and have been pressured to exercise despite injuries. The original Biggest Loser, Ryan C. Benson, has frequently spoken about the starvation tactics he used to lose enough weight to win Season 1. Benson told the New York Times that by the finale he was "dehydrating himself to the point that he was urinating blood." Severe injuries and illnesses are, for the most part, not discussed on the show. In a statement to the New York Post, NBC said, "Our contestants are closely monitored and medically supervised. The consistent 'Biggest Loser' health transformations of over 300 contestants through 16 seasons of the program speak for themselves." The term "product placement" might conjure images of action heroes climbing into a brand new car or those omnipresent Dunkin' Donuts cups sitting in front of the America's Got Talent judges. Companies pay millions to get their products featured on hit shows and movies, which also helps producers offset the high costs of filming. The Biggest Loser was one of the most lucrative beneficiaries of this practice. In 2011, the show boasted a whopping 533 product placements during 34 episodes, reported Business Insider. Contestants went on a field trip to learn about healthy eating at Subway, competed to design a healthy Subway sandwich, learned about the great equipment at 24 Hour Fitness, and were encouraged to chew Extra sugar-free gum to curb their cravings for something sweet. Agreeing to feature as many products as possible wasn't the only way The Biggest Loser made bank. At one point, the franchise was bringing in about $100 million a year, reported the New York Post. That figure accounts for advertising space during the show, as well as the many Biggest Loser-branded weight loss goods and services. Fans gobbled up mountains of cookbooks, exercise DVDs, protein powder, workout clothes, and video games. 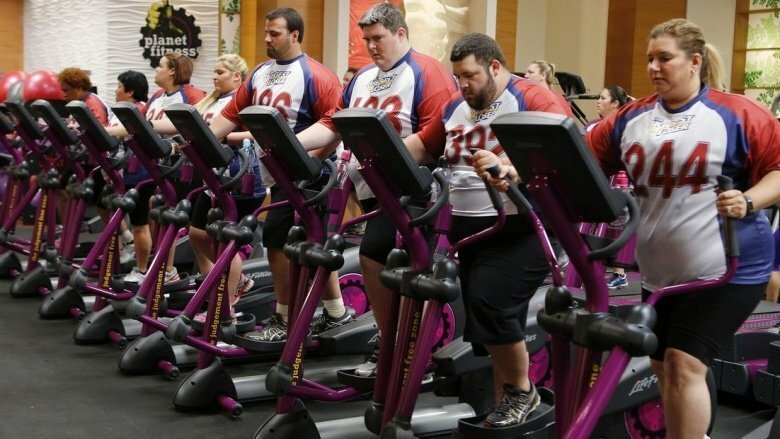 They could even attend Biggest Loser fitness camps or "resorts," just like the ranch on the show. "Show-mances" can be expected on reality television. When a bunch of people are tossed into a captive, intimate situation for a long period of time, crushes and relationships are sure to develop. This happens a lot on series such as The Real World or Big Brother. It happened on The Biggest Loser, too, only viewers didn't see as much of it as they would on other reality TV offerings. 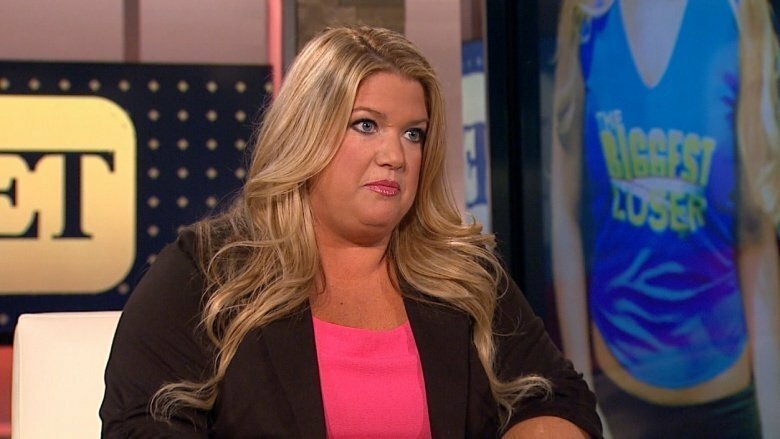 Contestant Hibbard told Cracked that camera operators often wouldn't even film canoodling couples because of the perception that viewers at home didn't want to see overweight people kissing. When couples were revealed, Hibbard claimed it was likely to be late in the season, when contestants were skinnier and deemed more attractive. For example, Season 2 winner Matt Hoover and runner-up Suzy Preston revealed their relationship during their season's final episode. Contestants on most reality shows are kept isolated, ostensibly to keep details about the show's outcome secret. 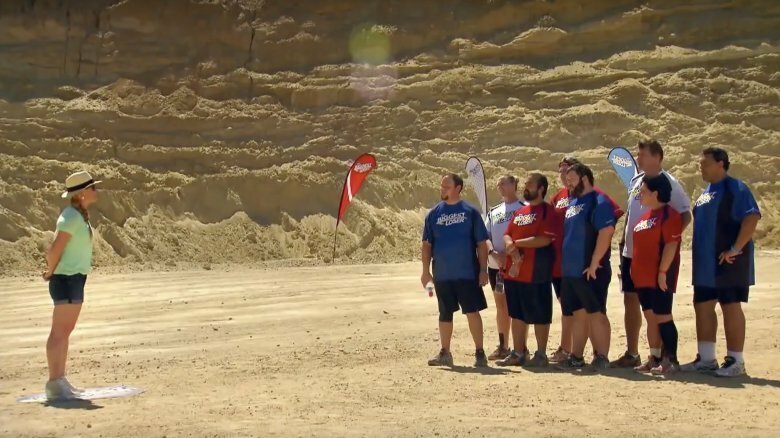 Competitors on The Biggest Loser ranch were subject to those rules, too. Contact with loved ones was kept to a bare minimum. After a month or so of training and taping, contestants could reportedly receive written letters from home. After six weeks, they graduated to a weekly, supervised five-minute phone call. In-person visits, except those filmed for the show, were forbidden. Some participants didn't even get a break at Christmas. Contestant Andrew Costello told an Australian news site that his season taped during the holidays, and while most of the crew allegedly went home for 10 days, he and his fellow contestants stayed at the ranch, monitored by a security guard and a supervisor. Aside from the Biggest Loser standards such as mini-vacations or trips to restaurants to learn about healthier eating, the casts were reportedly treated to day trips that were not filmed. Contestant Michalik said her cast was driven the 60 miles from the ranch where The Biggest Loser was taped into Los Angeles for activities such as spin classes, long hikes, or salad snacks at Whole Foods. Rulon Gardner was among the more famous folks to compete on The Biggest Loser. 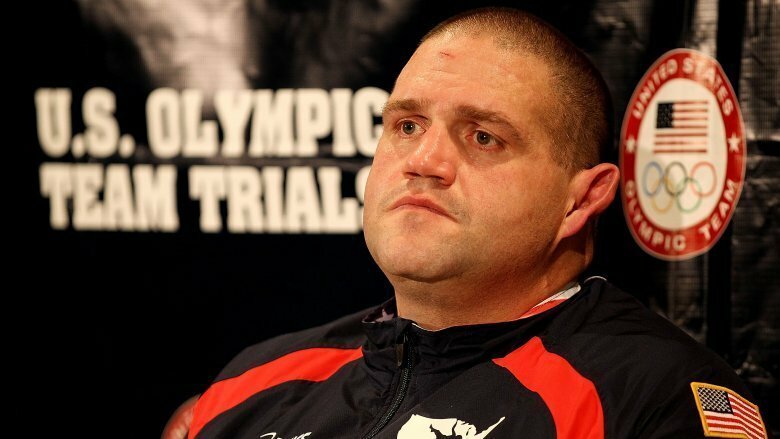 An Olympic Greco-Roman wrestler, he took home a gold medal in 2000 and a bronze in 2004, but then he gained weight, prompting him to apply for a spot on the show. Gardner appeared on air for 17 weeks and dropped nearly 200 pounds, going from a starting weight of 474 down to 286, but then he abruptly left the show, citing "personal reasons." In a statement issued later, Gardner clarified the motivation behind his departure. "I went on the show to get my life and my health back and I have accomplished that goal." He said he was "strongly considering a return to competitive wrestling." He reportedly tried to qualify for the 2012 Olympic trials but just missed the 264.5–pound weight mark. The Biggest Loser last aired in early 2016. At the time of this writing, if and when it will return is officially "unknown," but the show's doctor claims it won't be coming back at all. After a contestant accused the show of giving patients controversial drugs to help them lose weight faster. 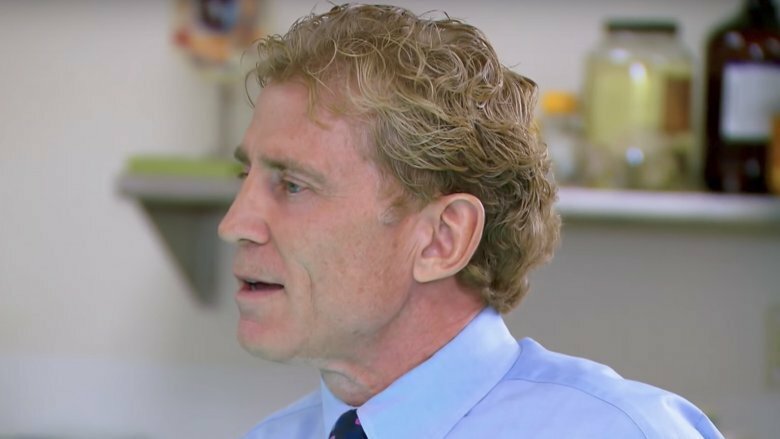 Dr. Huizenga sued for libel. After that, he says NBC washed its hands of the show for good. Harper has helped lots of contestants meet their fitness goals and has inspired home viewers to do the same, but his expertise has been overshadowed by the aforementioned allegations about drug use and by a serious health scare. Harper suffered a massive heart attack in early 2017. TMZ wrote about his recovery two weeks after the incident, saying, "he's getting better, but says the only exercise he's allowed to do right now is walk Karl [his dog] around the city and in the park." 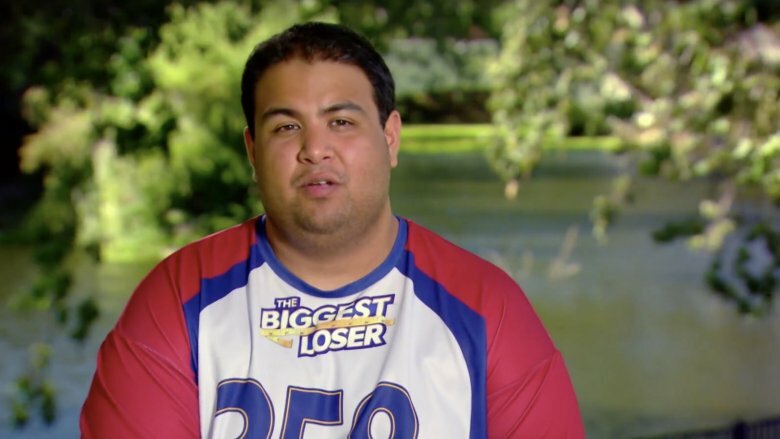 Yes, The Biggest Loser may have employed ruthless tactics to make compelling entertainment and a whole lot of money, but at its heart were real people trying to lose weight and develop healthy habits. In the process, many contestants forged lifelong bonds and still serve as personal cheerleaders for one another. In an interview with A.V. Club, contestant Michalik said there's a private Facebook group for former Biggest Loser competitors. She says it's often used to vent frustrations with post-show weight-loss struggles. "People post their weight and they're not ashamed of it and people give them advice. That's a good tool."